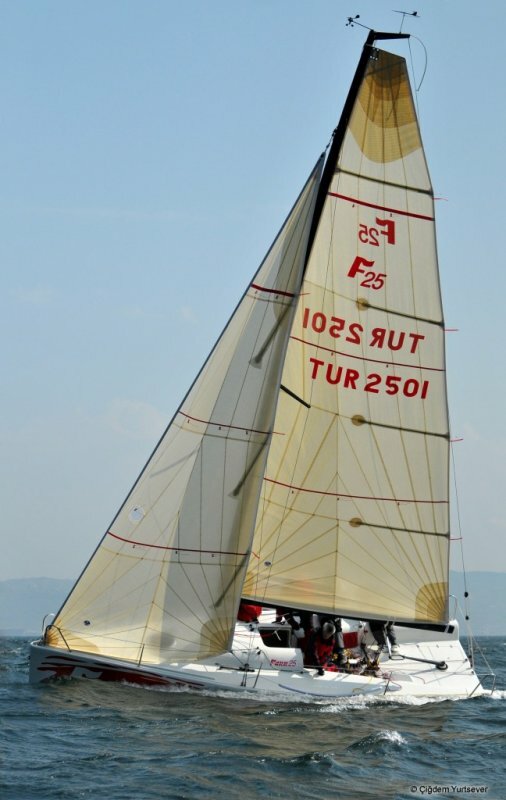 The Farr 25 OD is an exciting, new sportboat currently under construction by OD Yachting of Istanbul, Turkey. Versatility, simplicity and balance are the hallmarks of this unique design. 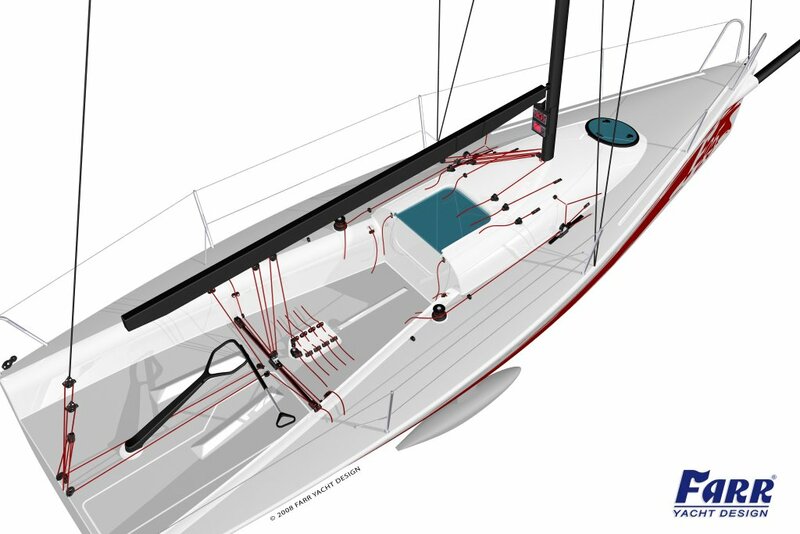 OD Yachting wanted a one-design that would impress advanced sailors with excellent performance yet be easy enough to handle and operate for the intermediate, weekend sailor. 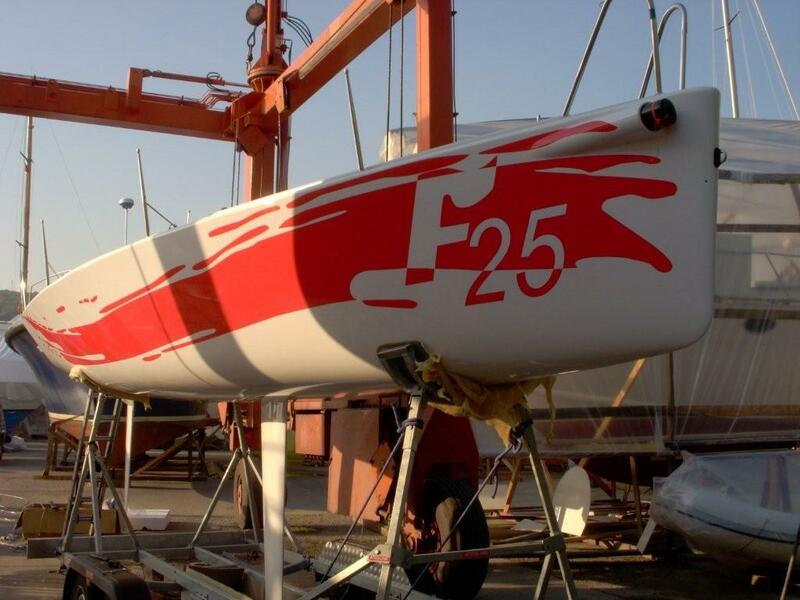 The Farr 25 OD meets the performance requirements with a beautifully shaped hull (developed alongside our Volvo Open 70s), an exceptional ballast ratio of 50%, a light displacement of only 930kg (2050lbs) and a displacement to length ratio of 77. 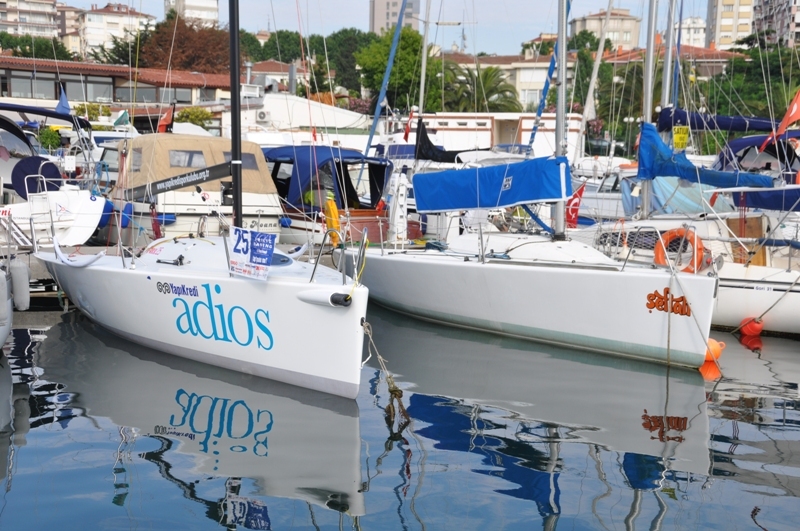 Many sportboats are a thrill when reaching and running but become painful, pounding platforms when you turn the bow towards the wind. 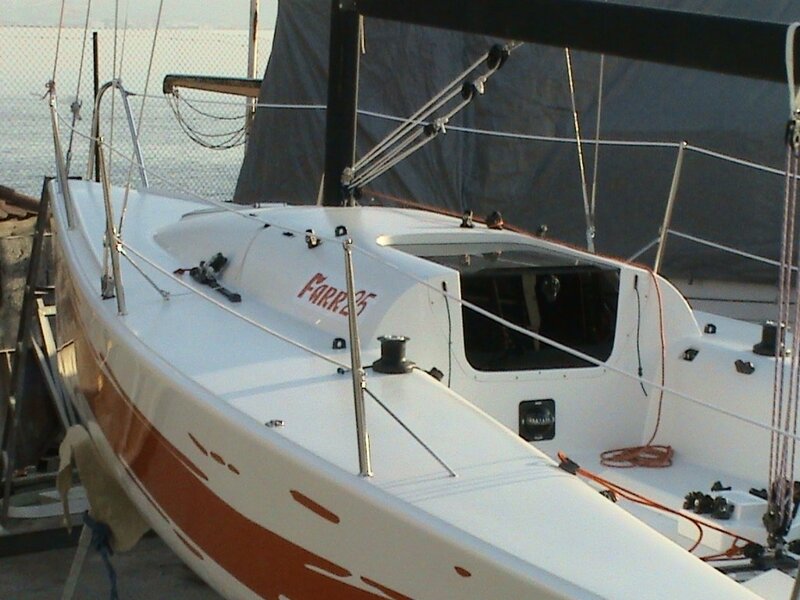 The Farr 25 OD has the power relative to weight to be smooth-handling and sweet-riding upwind. 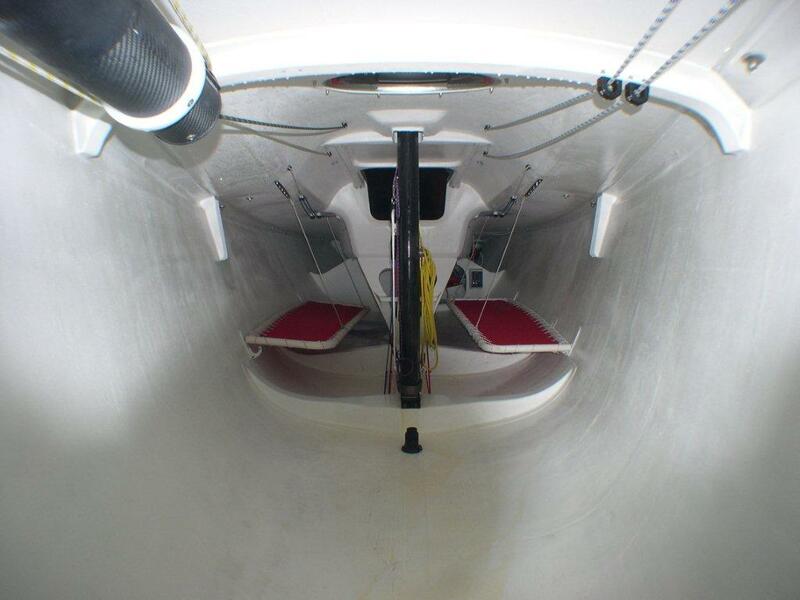 The 37m2 (400ft2) of upwind sail area is set on a carbon spar from Southern Spars. 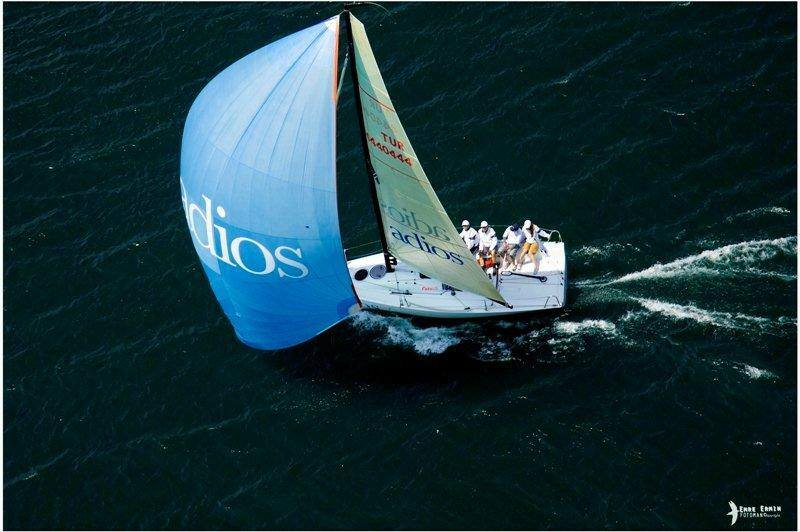 The 64m2 (690ft2) well proportioned spinnaker flies on a retractable bow sprit providing plenty of downwind horsepower. 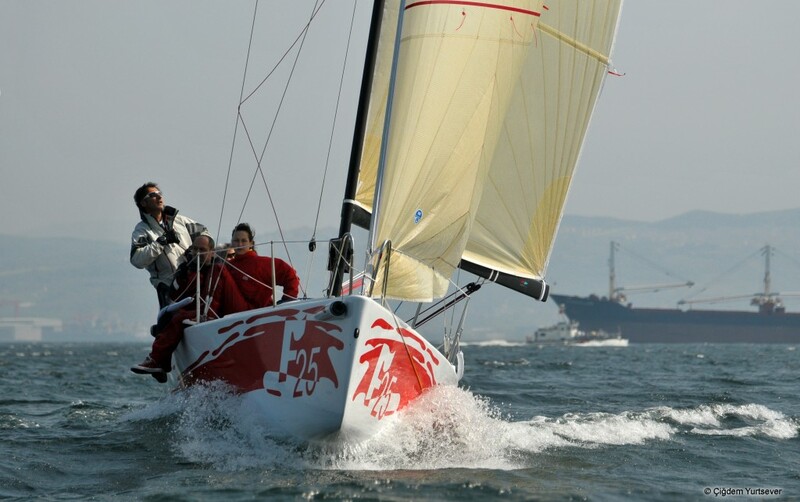 The Farr 25 OD is just a delight to sail and operate. 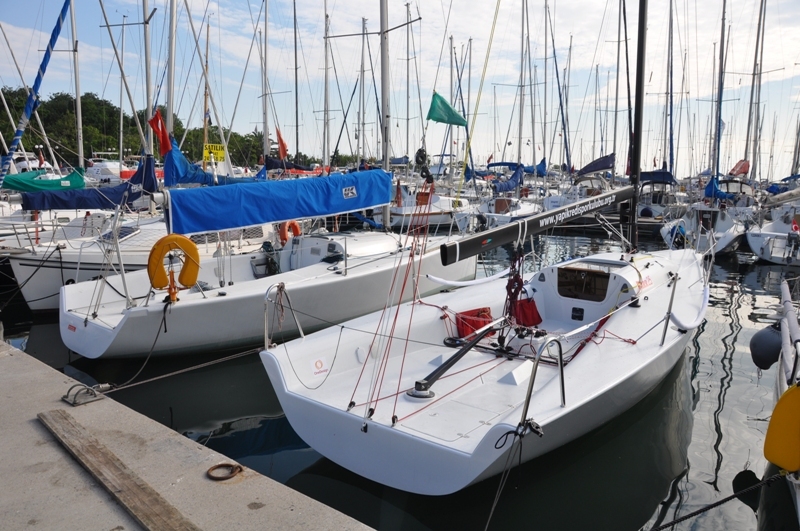 From the recessed jib furler to the high efficiency rudder safely tucked under the stern, the Farr 25 OD is packed with unique, well thought out features. The 6 HP outboard motor swings out of a clever storage locker in the cockpit sole and can be ready to go in just a few seconds. 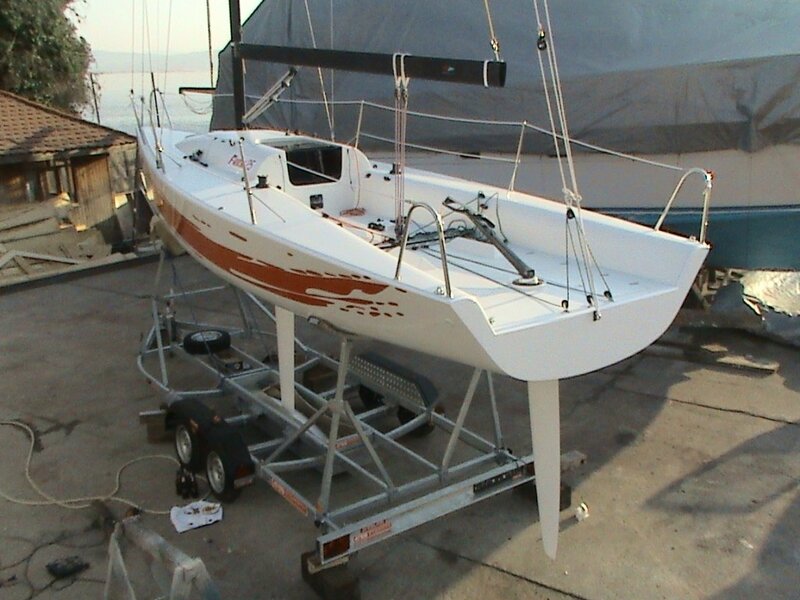 The single spreader, Southern Spars carbon rig is a snap to tune. There is enough space below for two bunks and generous gear stowage. The large, comfortable cockpit has all the sail controls within easy reach of the crew. 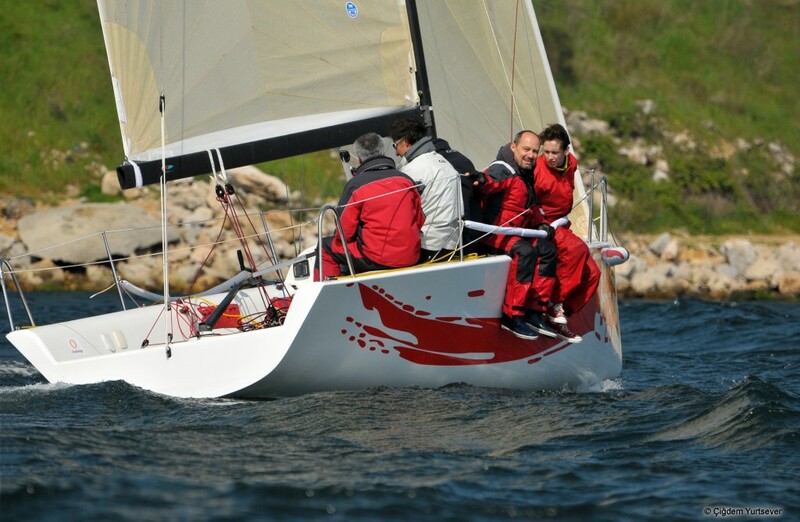 The construction of the hull and deck, and the arrangement of the keel and rudder are simple and efficient to reduce weight and simplify maintenance. 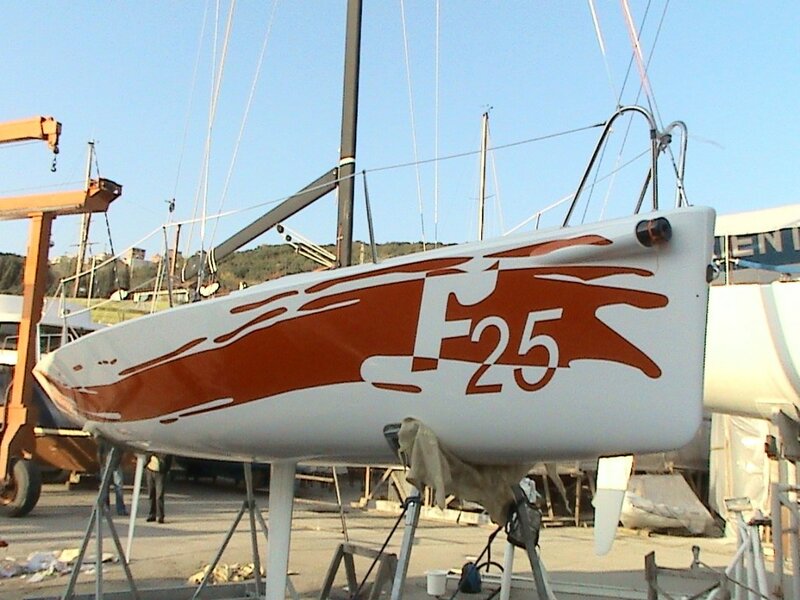 Light and simple are the two words used to describe the structure of the Farr 25 OD. All structural elements are stitched/knitted E-glass in an epoxy resin, vacuum-bagged to achieve high fiber contents with low void content. 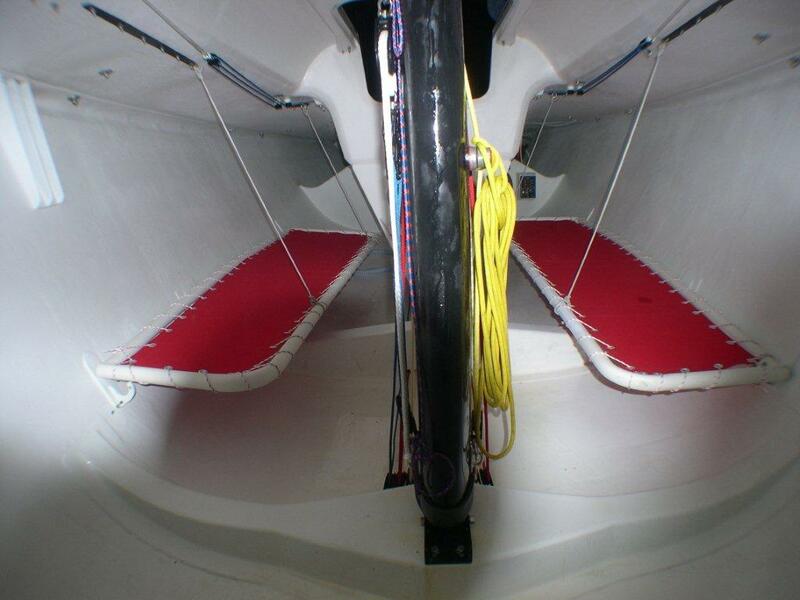 The hull and deck shell are E-glass over a tough foam core, with high-density foam with additional uni-directional and multi-axial reinforcements used in high stress areas. Hull shell support comes from a simple one-piece structural liner, composed of a transverse mast step, transverse keel floor, and a single centerline longitudinal spanning from the mast step aft to a composite cockpit support frame. 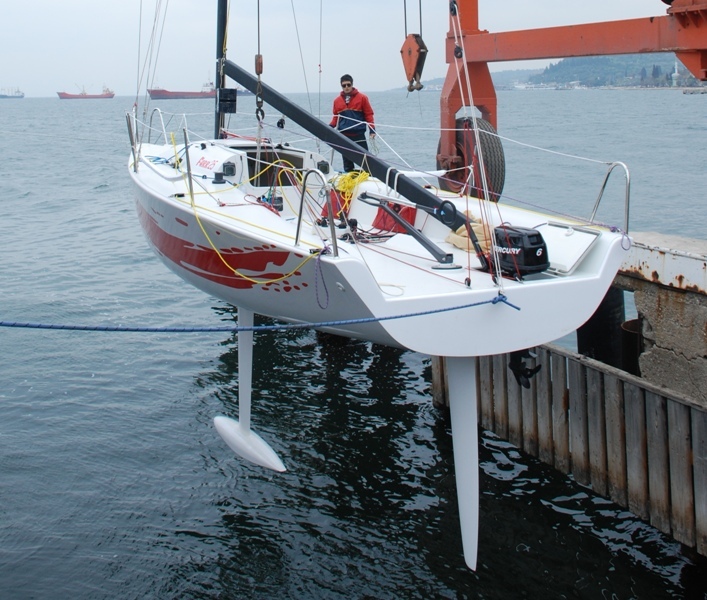 Additional deck support consists of a transverse bowsprit support frame and a shallow foredeck beam. A structural companionway strut supports the deck amidships. 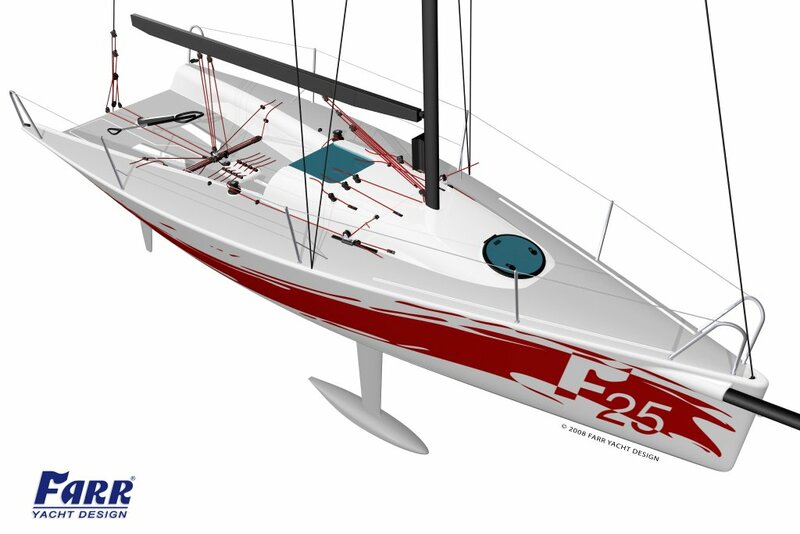 As seen on most of today's high tech racing yachts, the keel on the Farr 25 OD is a fixed T-keel configuration with a lead bulb. 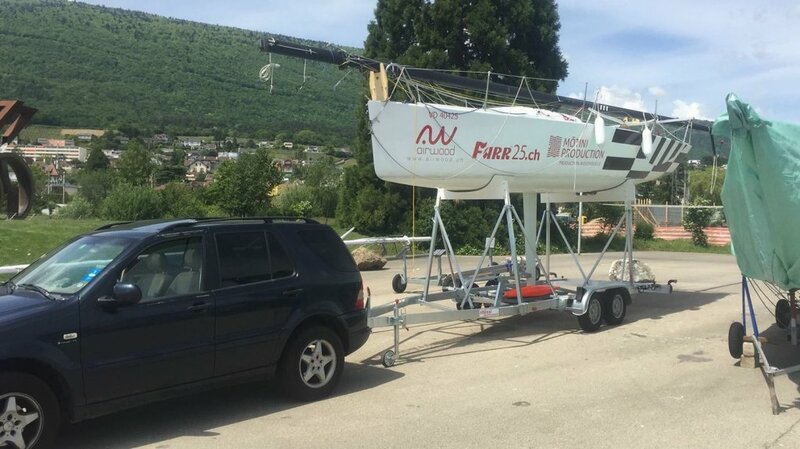 The maximum draft is 1.8m (5.9ft), which does allow the boat to be trailered on its keel throughout Europe and the US. 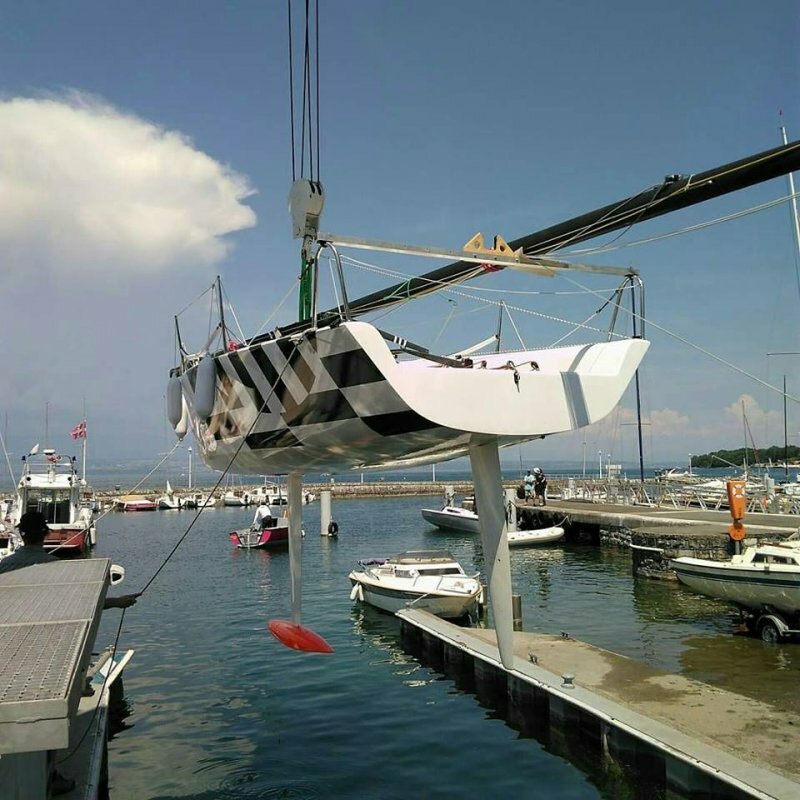 The keel is assembled into a trunk in the hull iwth a single M20 stainless steel bolt, making keel assembly and disassembly extremely easy. The carbon fiber fin is one of the major design features of this yacht. The fin spar is constructed in pre-preg carbon over a foam mandrel, giving incredible stiffness and strength in a very lightweight package. The complete keel fin assembly, including spar, blade, and hull attachment fitting weighs a mere 18 kgs. Such a light fin allows more weight to be packed into the bulb for a lower VCG and turbo'd performance. 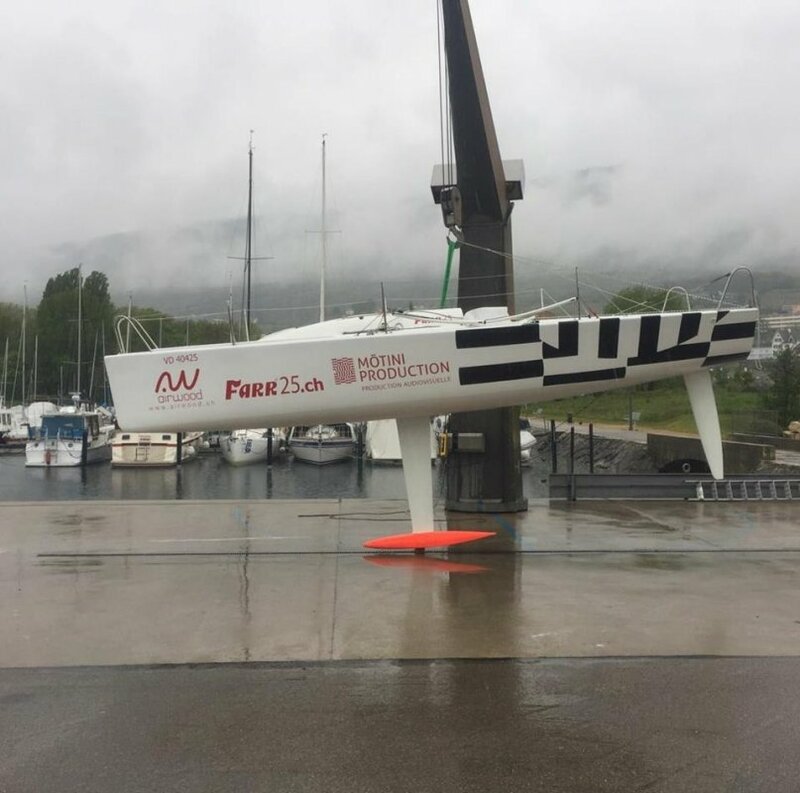 The fin planform is trapezoidal and utilizes one of FYD's proprietary custom foil section designs for optimum performance in round the buoys racing. Given the propensity of T-keel configurations to snag kelp and weeds, this keel fin also incorporates a kelp cutter installation. 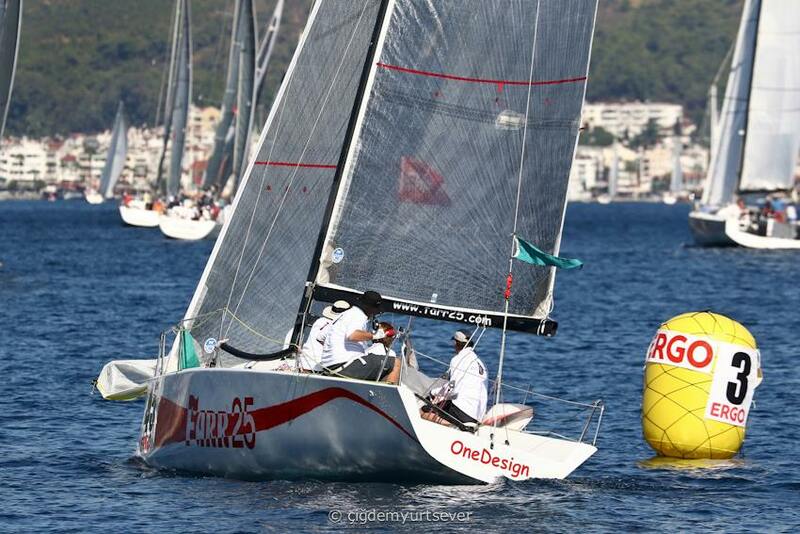 The 25 OD has an all carbon stock rudder, and a female molded carbon/foam blade. 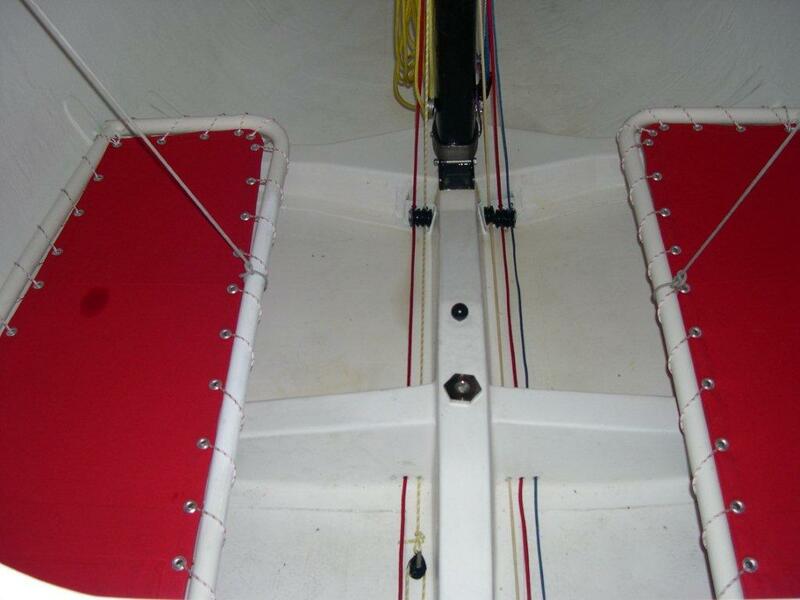 The choice of carbon for the rudder stock gives superior strength and stiffness while minimizing weight in the ends of the boat. The blade shape is nearly elliptical and of a high aspect ratio for maximum lift efficieny and minimum drag. 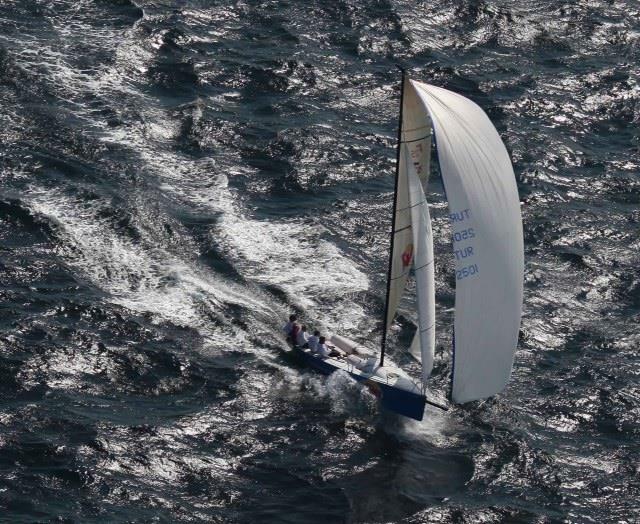 The foil section is one of FYD's proprietary custom shapes, with excellent stall characteristics for maximum control in power reaching conditions. A relatively high freeboard and simplified internal structure provides for a spacious, open interior with sitting headroom on berths port and starboard of the companionway. 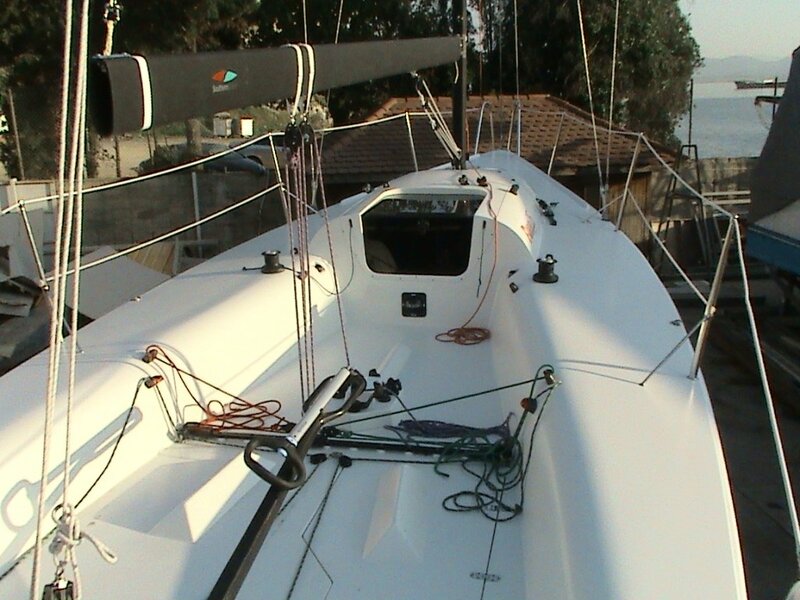 A low aspect keel trunk is unobtrusively integrated into the centerline longitudinal of the internal structure, allowing for easy movement throughout the cabin as well as providing for generous gear stowage. Propulsion is provided by a 6hp outboard, which is conveniently stowed in and deployed through a well in a locker in the cockpit sole. 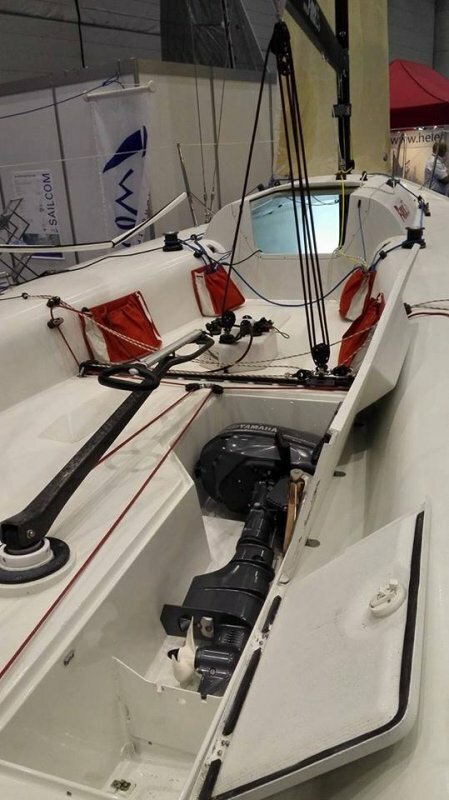 For the overnight or weekend sailors, the Farr 25 OD also incorporates a water tank with delivery pump system, as well as a sink and cooking stove. 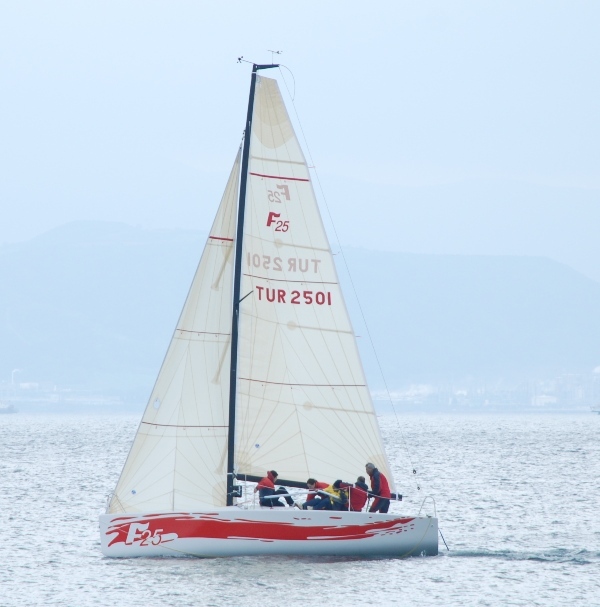 The Farr 25 OD comes equipped with ISAF approved navigational lights. The 25 OD design also allows for an outboard motor to be stowed in and deployed out of a storage locker via an articulating armature.